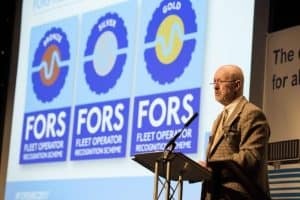 Tuesday 16th October – that’s the date all fleet bosses should have saved in their calendar because this is when the Fleet Operator Recognition Scheme (FORS) holds its third Members’ Conference. Scheduled to be held at the National Conference Centre in Solihull, the conference will celebrate a decade of the scheme by centring around the theme: ‘Ten years of evolving best practice’. Fuel Card Services has been confirmed as one of the 30-plus associates supporting the event. This will give the company as prime opportunity to promote Tele-Gence – its newly launched telematics product, which can improve a fleet’s fuel economy by up to 20 per cent. As well as reduced fuel costs, Tele-Gence customers can look forward to improved behaviour from their drivers and better fleet insights, not to mention full fuel card integration and support from a UK-based team. Spread over bronze, silver and gold tiers, Tele-Gence packages start from as little as 45p per vehicle per day. Head to fuelcardservices.com/tele-gence to find out more. Additionally, Rachel Pearson [pictured], a Fuel Card Services major account manager and FORS practitioner, will be on hand to talk to members throughout the day about the benefits of Tele-Gence and fuel cards overall. Rachel is very passionate about what she does and anyone who stopped by Fuel Card Services’ Fleet World Stand at Silverstone in previous years will recognise her. Introducing a fuel card to your fleet means you don't have to have to pay more than you have to for fuel, resulting in improvements to efficiency and budgeting. Read more about how a fuel card can help here. Elsewhere at FORS’ Members’ Conference, the spotlight will be turned onto the introduction of version 5.0 of the FORS Standard, due to be implemented early 2019. The updated version focuses on providing a clearer set of requirements and demonstrations, as well as the inclusion of more vehicle types. Keynote presentations from leading industry representatives will also be another major draw for the event. Almost 400 delegates attended 2017’s conference and it’s expected to be a packed house once again as fleet decision makers gather to engage in lively debate with high-profile speakers from across the transport industry. In a statement, FORS said its Members’ Conference will “provide an excellent opportunity to talk face-to-face with FORS experts, to network with fellow transport professionals, and to take a look at the many products and services offered by FORS Associates exhibiting on the day”. Ellie Baker, brand manager at Fuel Card Services, added: “Fuel Card Services is very proud to be part of this landmark event for FORS."